It’s an inevitable party moment, when you realize that the fully-fluffed living room is being ignored by a vaguely rowdy crowd congregating in the kitchen. Clearly that’s where the fun is. So you ask yourself if it would not have been best, as it so often is in life, to go with the flow, and designate the kitchen Party Central from the start. After all, a few simple steps will get it primed for a good time. Prior to the hols (hello, NOW!) pull the oven and fridge away from the wall. Sweep behind each and brush dust off their backs. Wipe down light bulbs (it’s a greasy room, guys! ), including those in the fridge, which you’ll also vet for items nearing a best-by date. Clean veg bins, meat trays, and butter holders with a cloth sprayed with eco-friendly, germ-killing hydrogen peroxide or vinegar. If you’re one of the 73 per cent of Canadians who have not cleaned the inside of their dishwashers in the last twelve months, you need to consider these two facts: one, the dishwasher is constantly filled with objects covered in organic matter and two, those objects are what you use every day to ingest food and drink. Want to keep it clean much? Whirlpool recommends affresh for all its brands — KitchenAid, Maytag, Jenn-Air and Amana — but it can be used on any dishwasher. Buy it at groceries and big boxes. The affresh site has some darn good cleaning tips. Any kitchen seeing a lot of seasonal traffic will need a daily sweep. Especially for messy cooks like me. Fortunately, I love to push a broom. So relaxing. And such an effective way to clean. 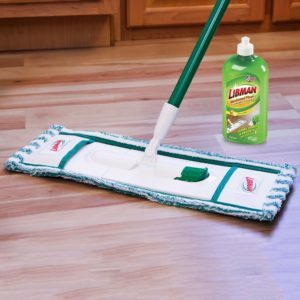 Since partnering with Libman, I’ve been giving a workout to their wide-angle broom, which comes with an attachable broom pan. Really effective at reaching nooks and crannies. MOTH likes that the handle has some “heft”. As an aside, Libman’s up-right dustpan is good for cleaning up outdoors, where I used it to pick up leaves with no bending, and to push garden waste efficiently into recycling receptacles. Start by clearing out countertop clutter — the wine-stained receipts, pizza coupons, and spiralizer you never use. If you’re lucky enough to have a kitchen island, reclaim as much real estate as possible to create an accessible spot for trays, bowls, and cutting boards. 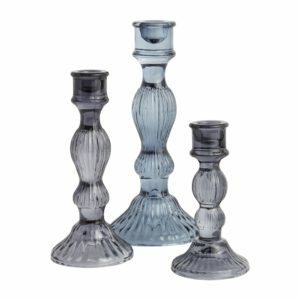 Now is the time to bring out extra glasses in storage, run them through the dishwasher and place them on an at-the-ready tray. She also approved of brass, copper and rose-toned golds in low-commitment mugs, carafes and coffee thermoses, and a gold-trimmed agate coasters — also seen at HomeSense — as pleasant counterpoints in a relaxed country kitchen with wooden counter-tops, cane–backed chairs and woven storage baskets. 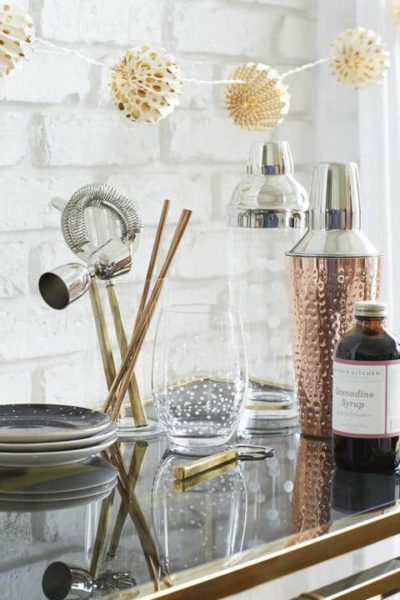 Another piece that is in her opinion underused is the bar cart. If the kitchen is where the party is destined for, and there’s space, wheel it in from the start and make it a focal point. Have fun and be good, kids. Auntie Vicky wishes you a merry Christmas, a happy holiday and a wondrous 2018. I have been compensated by the companies named in this post. None of them reviewed or approved this content. Opinions are my own. Yes, I really do love sweeping.